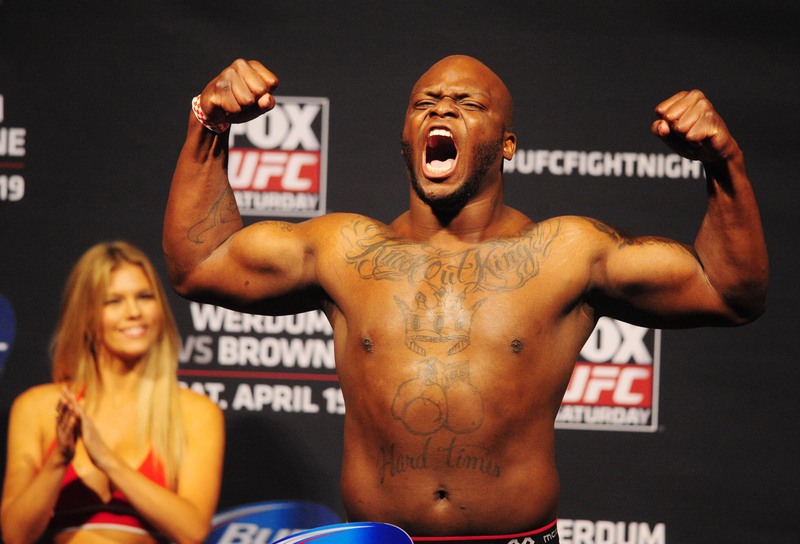 Apr 18, 2014; Orlando, FL, USA; Derrick Lewis during a weigh-in for UFC on FOX 11 at Amway Center. *Derrick Lewis, an African American MMA fighter from Houston, is among the many citizens who have waded through waist-deep flood waters to help save folks who are stranded. Among those the athlete has rescued, he says, was a family who had among their belongings a Confederate flag. Lewis, known to UFC fans as “The Black Beast,” has been helping families since Sunday by responding to messages on Facebook and using his Chevy pickup truck to move residents to safer spaces, according to The Huffington Post. Lewis said he wasn’t concerned with the flag, which represented the Confederacy during the civil war and its fight to preserve slavery. Lewis posted videos and images to Twitter this week showing how terrible conditions were in Houston and how he worked alongside others to help get residents to dry ground. Next ArticleChaz Guest's Talk & Book Signing at the Patrick Painter Gallery for 'Buffalo Warrior' - LOOK!